Chad has been playing guitar since about 2005 when he was 15 years old. He was inspired by a lot of classic rock bands like Led Zeppelin, AC/DC, and Van Halen. 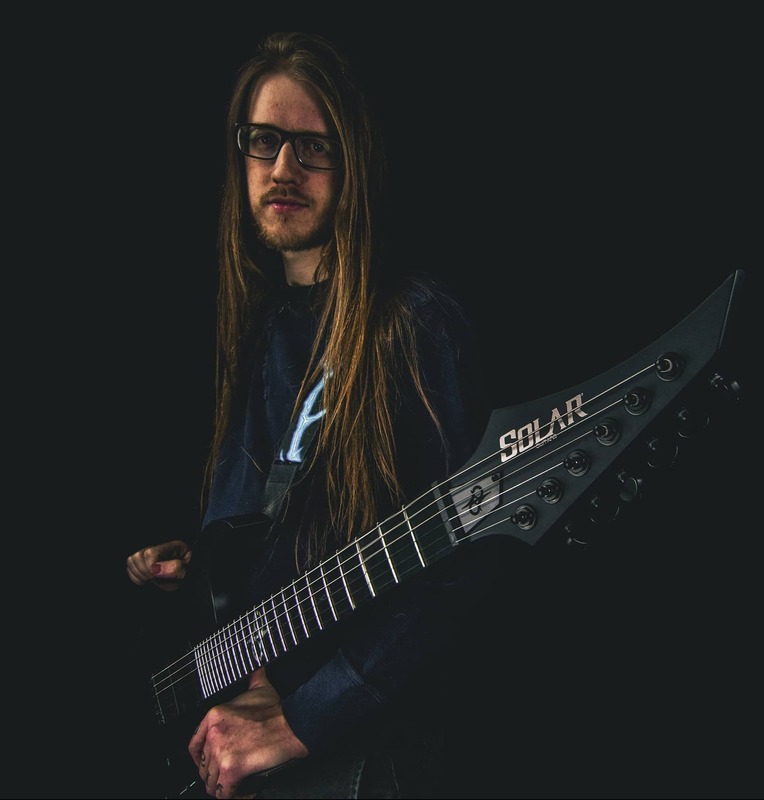 He started his first metal band, Disforia, with some friends at the age of 17, and has been on the grind ever since. Currently playing in Helion Prime as his main focus, though he does have projects on the side (Hisingen, Disforia, Dead Revelator and Helseher). He joined Helion Prime in 2015 just before the released of their debut album, which would later be re-released by AFM Records worldwide. A second album is slated for release in 2018. He also produces bands in his home studio in his spare time under the banner Ethereal Audio Productions.